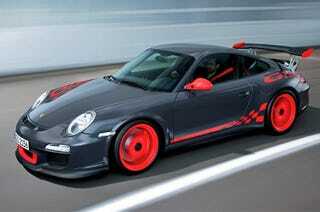 When the Porsche 911 GT3 RS debuted at the Frankfurt Motor Show, it looked every bit the obnoxious track-day racer. Apparently it can turn a wheel too, posting a scorching 7:33 time around the Nürburgring. Still no GT-R 7:26.7.